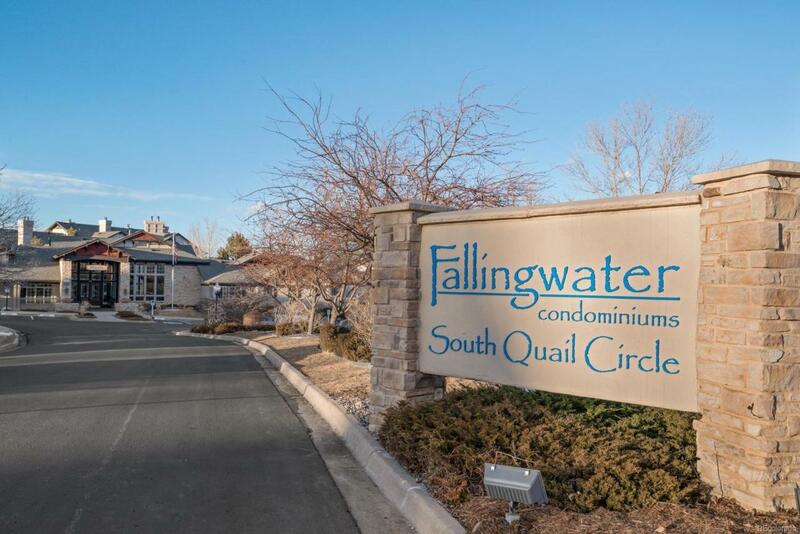 Get ready to fall in love with this amazing Littleton home in the gated Falling Water community! This corner unit dream faces the pool, features a generous covered patio with storage, and even has a detached garage for those snowy days. Inside, theres stainless steel appliances, slab granite counters, oval soaking tub, walk-in closet in the master, central air, oil rubbed bronze bathroom fixtures, and crown molding. With a full size washer & dryer, and a price this low, you owe it to yourself to see this one quickly before its gone!